Potbelly pigs are wonderful pets. They’re smart, loyal, and affectionate, making them excellent companions. However, as with the best of us, pigs are susceptible to bad behavior. If you’ve lived with a pig for any period of time, you’re likely aware of the worst behavior a pig can exhibit: throwing a temper tantrum. Yes, you read that correctly. 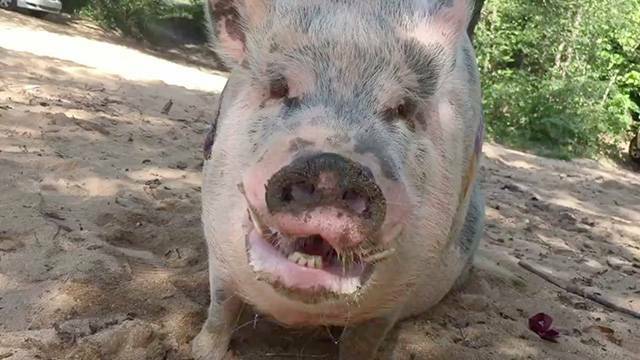 Pigs, just like human, have temper tantrums. This happens when they are upset for any reason—maybe you’ve been out of the house all day, or maybe they’re hungry. Maybe they want to play with their favorite toy, or perhaps they don’t like their new playmate. Pigs can throw a tantrum for nearly any reason, no matter how trivial. When they happen, they are loud, obnoxious, and—to some of us—pretty funny. Pig tantrums can be random, but if you recognize patterns in your pig’s behavior, you can take steps to prevent them. For example: if you know your pig throws tantrums when you work long days, ask a friend to stop by and hang out with him for a little while. If your pig starts to get hungry at around 5:00PM, orient your schedule around getting home for that feeding. Unfortunately, tantrums are inevitable, even with the most careful planning. If you return home to a grumpy pig, the best thing to do is to give them a little bit of what they want—whether it be food, attention, or anything else. Give them just enough of what they want to quiet the tantrum, but too little for them to be fully satisfied. Pet owners can also put their pigs in “time out,” depending on the severity of the tantrum. Isolate the pig from the rest of the family (human and animal) for 15-20 minutes.